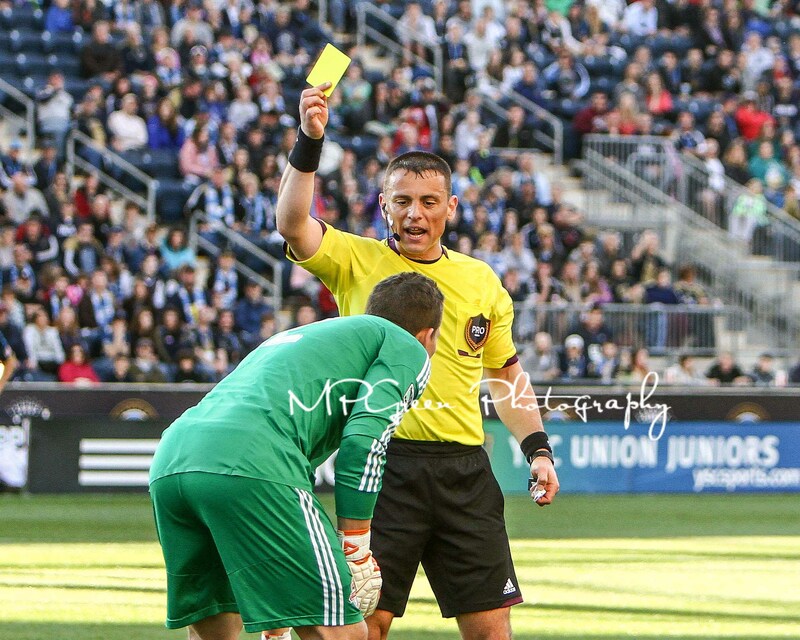 Eight yellow cards and a red card were on display at PPL Park on Saturday, April 13th. In between the cards, numerous other penalties, and injury stoppages, the Toronto FC took on the Philadelphia Union on their home pitch. At half time, the two teams remained knotted in a 0-0 tie. 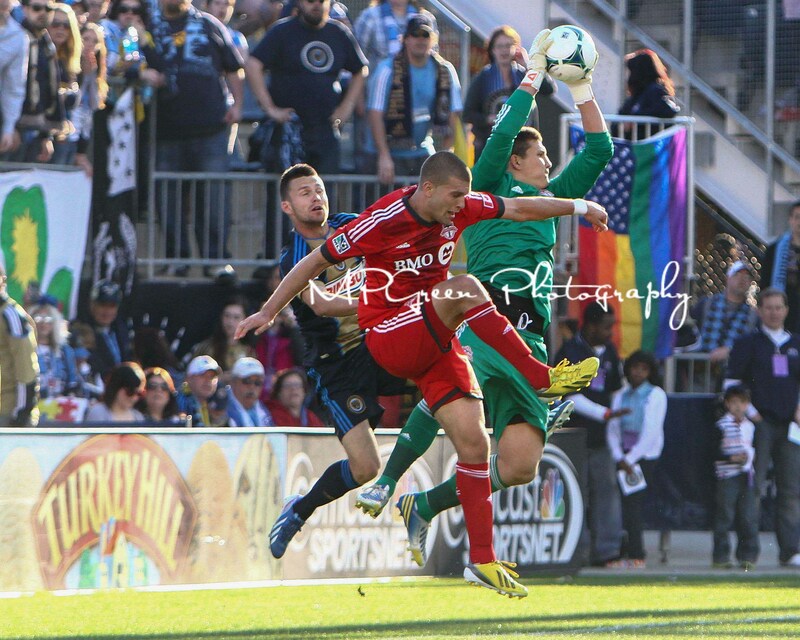 The Union had many chances to score during the match but Toronto GK Joe Bendik was stout in goal making nine saves during the game. On the other side, Philadelphia GK Zac MacMath faced only two shots on goal. Unfortunately, the second of the two went for a score off the foot of Toronto F Robert Earnshaw in the 77th minute. In the 88th minute, trailing 1-0, Jack McInerney found the back of the net for Philadelphia, but the goal was called-off on a questionable penalty called on McInerney. 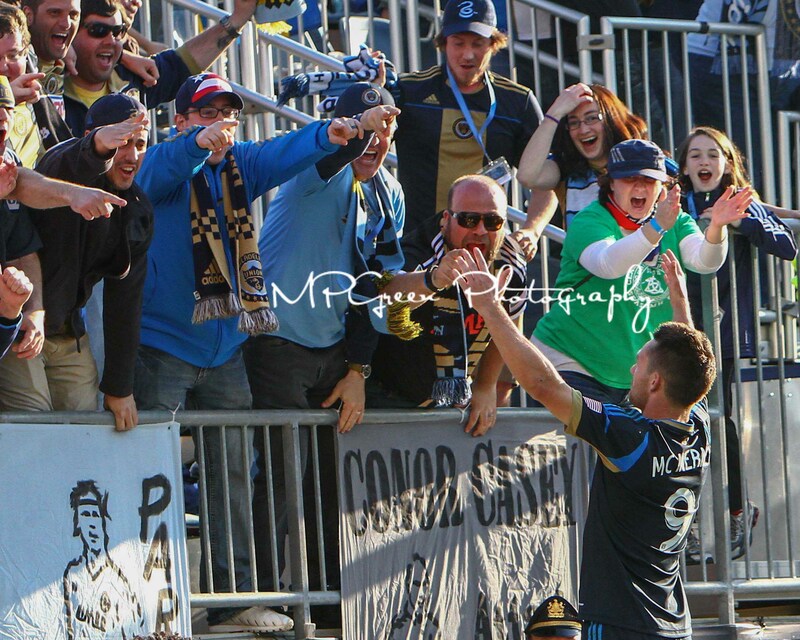 However the 2013 Union, more resilient than the 2012 team, kept plugging away and McInerney scored again moments later in stoppage time to tie the game at 1-1. 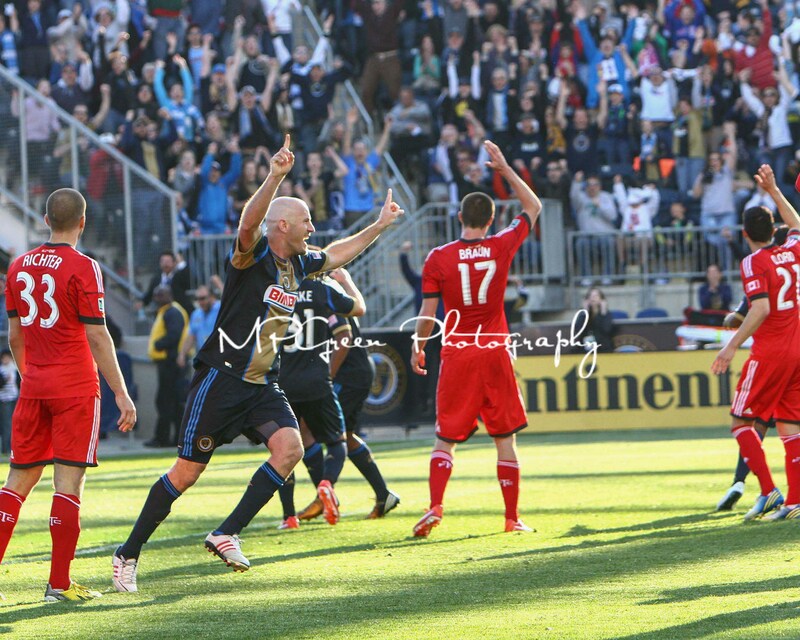 Just after the 6:30 mark in stoppage time, the Union had a chance to win the game, and walk away with three points. Antoine Hoppenot found himself with the ball, all alone behind the Toronto defense but was denied by Bendik who charged in to make the final save of the game. In the end, the game resulted in a 1-1 draw with both teams earning a point. 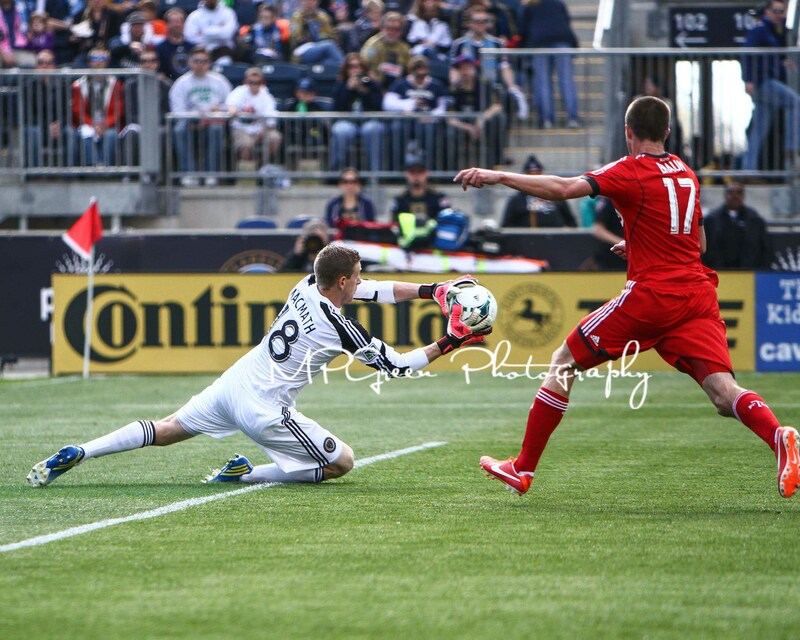 It was the Union’s second consecutive 1-1 draw. Up next, Philadelphia travels to DC to take on the United on April 21st (5pm, ESPN2). Philly is 0-2-1 on the road so far in 2013 and a win against rival DC would give them a much needed boost as three of their next four contests will be played away from PPL Park.